The look of aged wood in a home – whether it’s on the floors or walls – can bring a kind of sophisticated rustic personality to the space. But, as anyone with hardwood floors knows, taking care of wood is hard work, and sometimes you just can’t stop it from degrading over time. 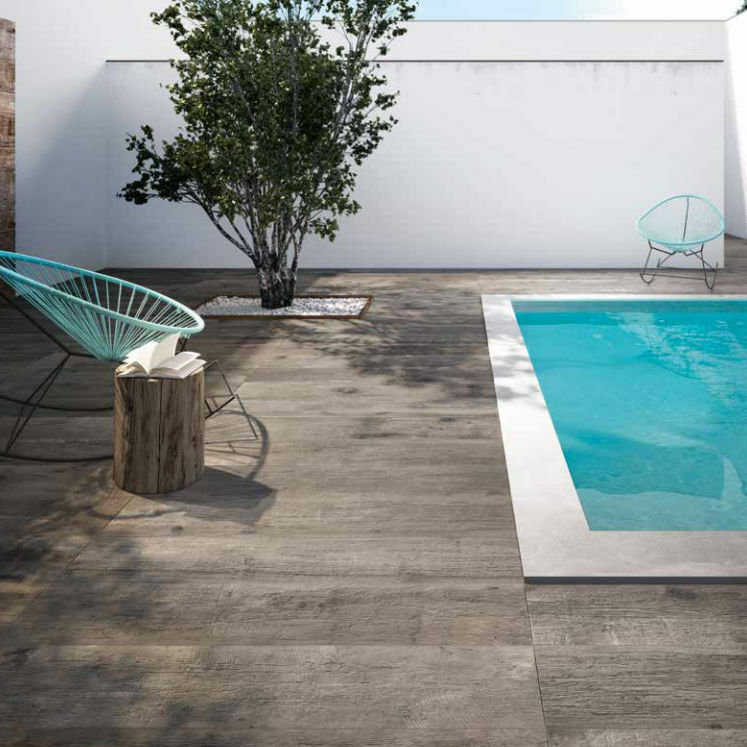 Italian manufacturer Flaviker has a brilliant line of ceramic tiles that look just like real wood, but are far more durable. 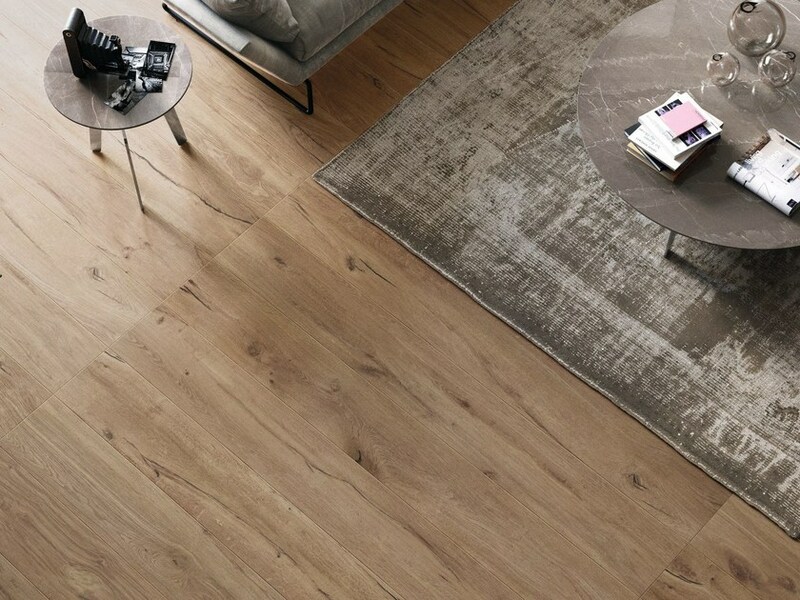 The Dakota line of faux wood flooring is designed to look like organic aged alder wood, but no forests were involved in the making of this product. 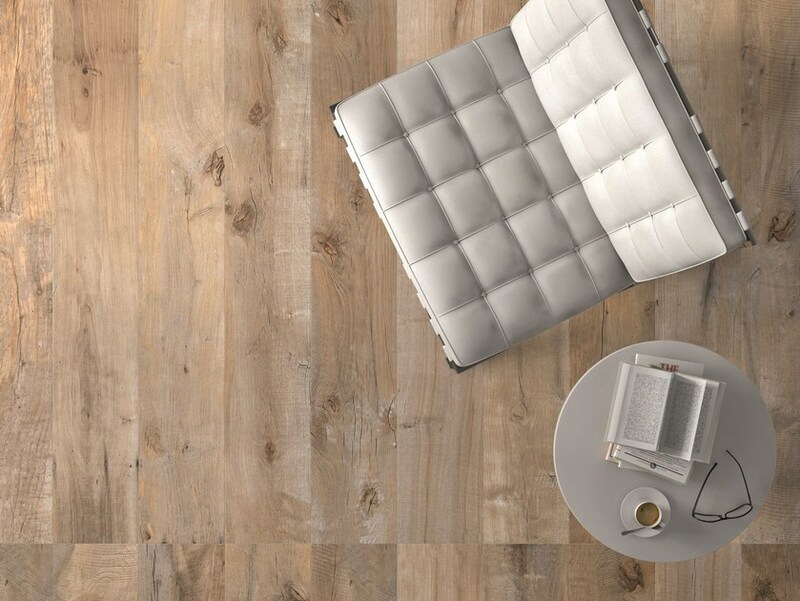 The versatile floor planks are remarkably realistic, incorporating all the tiny details you’d find in real wood like worm holes, knots, and scratches. 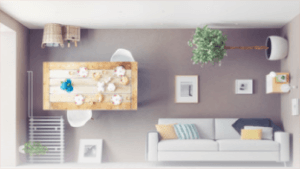 The difference is that the Dakota planks are smooth, easier to clean, and won’t suffer nearly as much as real wood when you decide to drag the sofa from one end of the living room to the other. That’s right— no more skid marks, dents or weathering of any kind. 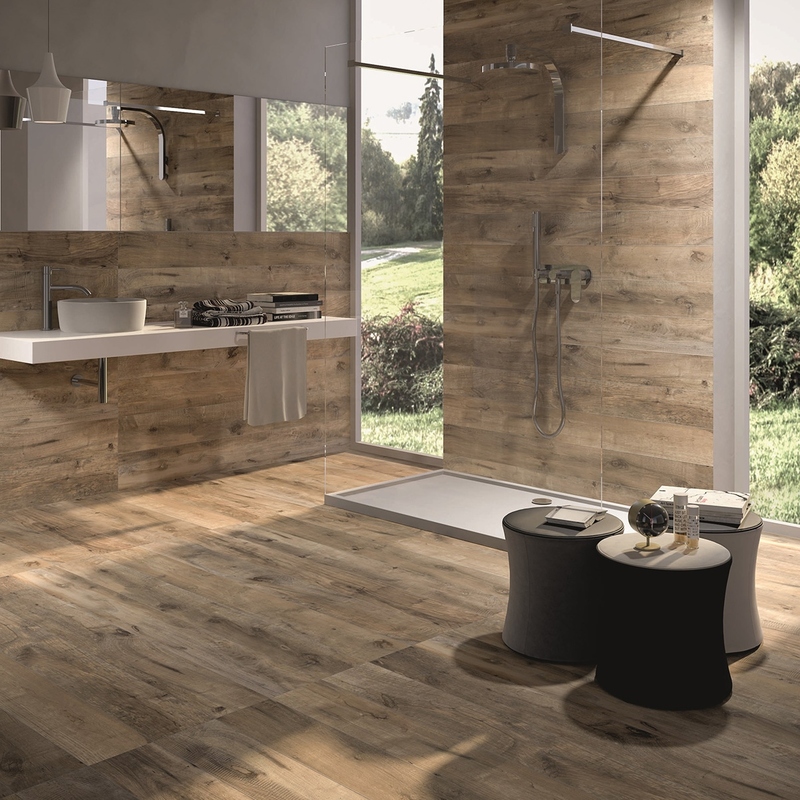 In fact, Flaviker’s wood ceramic tiles also allow you to incorporate a natural timber look in places that real wood simply couldn’t go. 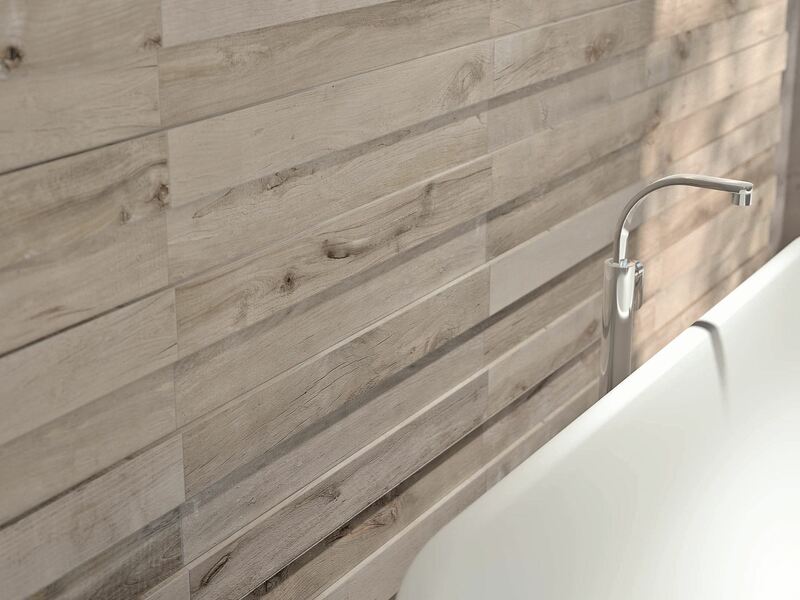 This waterproof wood flooring can also be used on vertical surfaces that get frequently exposed to water, lining a shower or acting as a sink backsplash without warping and rotting. They look gorgeous outdoors, too, like this application augmenting the beauty of a swimming pool. Until you get up very close to the tiles, it is nearly impossible to tell that they aren’t real wood. 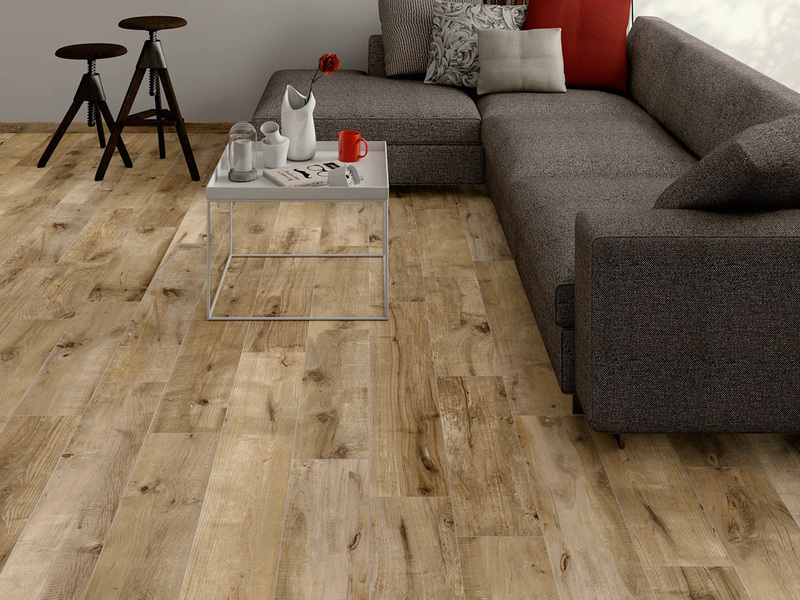 They are realistic enough to look charmingly rustic, but they are fuss-free and easy to maintain – a quality that most homeowners would take over real wood any day. This is one type of wood flooring that won’t need to be replaced for a very long time.